The Cambridge Diet is a low calorie diet based primarily on liquids and has been in the market for over three decades now. It originated in England, in Cambridge University and has since then spread worldwide through enthusiastic dieters who swear by its efficacy. According to the official website, the diet includes a range of flexible programmes to offer effective weight management solutions for both genders. The diet contains a range of products like low calorie soups, shakes as well as meal replacement bars. One can use these as sole sources of nutrition or combine them with traditional foods to maintain the diet. One has to keep in mind that all traditional foods also need to low calorie to match the diet regulations. Whether one has the liquid supplements or match them with regular foods the calorie content needs to be within 400 to 800 calories per day. This is way below the normal calorie charts which we stick to regularly so the diet cannot be continued for a long time. Usually, people do it for 10-12 weeks then go back to their regular diets. After a break of a week or two they can resume the diet again. This is continued till one reaches the weight loss goal. Initially made for morbidly obese patients, the Cambridge Diet is now a popular program for all those want to lose significant amount of weight. Every dieter has to begin after consultation with a Cambridge Diet counselor who will take into account health conditions and allergies and then advice whether the diet is right for the person. The weight loss is gradual rather than sudden which means that one will steadily reach the weight loss goal and can maintain the lost weight better. Over a period of time the calorie value is increased to 1500+kcal per day. To begin with the dieter has to purchase meal replacement shakes and bars which match with the dieter’s Recommended Daily Allowance of vitamins and minerals. Over the years, monitoring of the diet and its results has showed over 30 lbs. of weight loss per month. 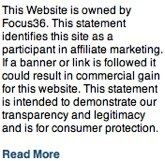 There are no details of ingredients given in the official website. Soups: These come in Chicken and Mushroom, Vegetable, Oriental Chilli, Spicy Tomato, Mushroom, Leek and Potato flavours. Shakes: These come in Banana, Chocolate, Butterscotch, Chocolate Mint, Mango, Fruits of the Forest, Strawberry, Vanilla, Toffee and Walnut, Chocolate Orange and Cappuccino flavours. 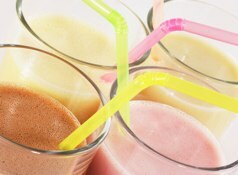 The readymade shakes come in Banana Bliss, Strawberry Silk and Chocolate Velvet varieties. Bars: These come in in Orange, Chocolate and Toffee flavours for the chewy varieties. For crunchy bars you can get Chocolate Mint, Cranberry, Peanut flavours as well as a Lemon Flavour Yoghurt Bar. Porridge: These come in Maple & Pecan, Apple & Cinnamon or Original flavours. The Cambridge Eat Easy range: These offers 5 all-in-one easy, quick and tasty meals that can be microwaved and eaten whenever needed. Other products: This includes products like Cambridge Fibre, Mix a Mousse and Water Flavourings like Golden Vegetable, Sunshine Orange and Summer Berry. 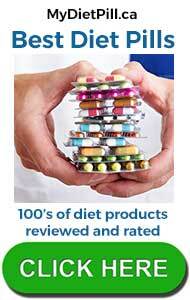 You can get allergy-free drinks and other diet supplements. Not recommended for those with heart ailments or for those who suffer from eating disorders. One of the key things to keep in mind is that the diet needs to be followed very strictly if you want proper results. This can be difficult for those who have busy work schedules or professionals who travel a lot since you have to carry around the products with you. At the same time you can discontinue the program at any time without fear of any adverse side effects which is a good thing. It is in effect quite a simple diet plan to follow and great for those who don’t want the hassle of preparing a meal with strict diet restrictions in mind. Is the Cambridge diet plan available in Toronto Canada ? Do you have consultants in Toronto, Canada. Iam interested in starting the diet. 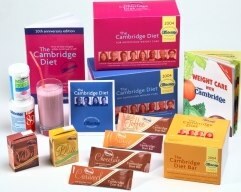 Is the Cambridge diet plan products available in Canada. I would like to purchase shakes n bars to continue with the plan. I am Padmini…presently working as a consultant for Cambridge Weight Plan India in Kolkata…I had done this diet in Dubai… I was so passionate about it that I decided to do training for the same to become a consultant as we relocated to India…I had lost 28kgs in less than a year!!! You can find my details on the Cambridge India website under ‘Find Consultants’. In the near future I wish to immigrate to Canada…just wanted to enquire what are the possibilities of continuing as a consultant in Canada?